Who does not want a perfect and protected computer? Of course we want. So, here the first solution is a good antivirus that protects a PC from malware, viruses, internet threats and other unauthorized programs that slows down and infects your whole computer system. SEE ALSO: How To Setup Windows XP From Pen Drive? There are many antivirus softwares are available in online and local market. But most of them are not free for use. They recommend money for buying them or offer a limited trial version. But, what will happen when a user can’t effort to spend that cash every year only for an antivirus. Here, the solution is using Free antivirus. Isn’t it? Lots of search terms are making everyday on Google for free antivirus download or free firewall protection. So, if you really want to use free antivirus software make sure you are going to use a branded and good quality Free antivirus because, most of free antivirus don’t perform well. Today, I am going to share with my lovely readers about some premium types of top FREE antivirus software you can use to secure and protect your computer system from viruses, spyware, malware, worms, Trojans etc. The AVG free edition antivirus software is almost premium standard quality. It is easy to download and install. 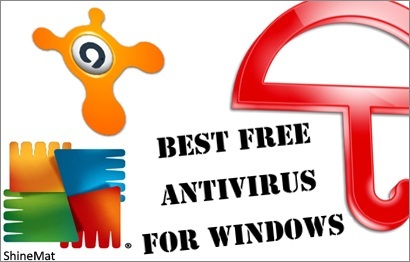 AVG free antivirus is compatible with all types of operating system. AVG also has premium version which offers more comprehensive internet security and protection for your personal data. When I was a college student I was using Avast free antivirus. This is really awesome all in one antivirus tool included with internet security, spyware, malware, phishing protection etc. One of its smart features is “Remote Assistance protection”. It is friendly with all kinds of operating system. When it detects an internet connection it updates automatically. Avira antivirus free edition protects you from viruses, adware and other kinds of functional harms. It is certainly a good ranked free antivirus program. Avira antivirus friendly with Win XP, Win 7, Vista and also available for Linux. Avira update automatically whenever it finds internet connection. A strong security tool from Microsoft Inc. Right now it is a trending free antivirus software by microsoft developers. Microsoft Security Essentials is a well performed fantastic antivirus that protects you from various types of virtual harms. Microsoft antivirus updates automatically and user friendly. Comodo antivirus is a free standard program to detect viruses. You have to delete the file(s) when it detects as virus. This software runs on Windows and Mac OS. Comodo updates automatically. Lavasoft offers a free antivirus, anti-spyware software. It also detects malware programs and supports pre download protection. It’s also easier to install. An antivirus program protects from present and future harms. But, when a virus enter in any software deeply then you need a malware removal software to clean it. Malwarebytes is totally free malware extraction software that removes or cleans your infected files as well. Now, it’s your turn to say your option to us. Do you know any other free well performed antivirus program? If yes, please let us know by using our below comment form. We will add your updates immediately at this blog by mentioning your name. Have a safe computing and blogging. Thanks for sharing this nice post. If your resources are low and you don't desire to waste money on an anti-virus program, you should think about free Antivirus applications.